Good morning! After a hiatus for conference wrap-ups, the Weekly Roundup is back with an extra-large helping of links. Hey, have you heard, the European Space Agency’s Philae lander is on a comet! Chatty status reports from the lander itself, and a succinct one from xkcd. Is the Rosetta mission important for the future of the EU? By the way, this ESA promotional film for the Rosetta mission is something else. You MUST watch through 0:50, and I defy you to click out once you get there. Lisa Messeri has a post on Vice on our changing views of space and aliens, during the Long McConnaissance. President Obama on net neutrality. Tim Wu is a fan. Are we in a moment of the digital dérive? A professor at UPenn plans to offer a course on “Wasting Time on the Internet” next semester. Each week, students will come together to spend three hours surfing the web however they please. Dave Kaiser of MIT brings us up to speed on the latest thinking about quantum entanglement. 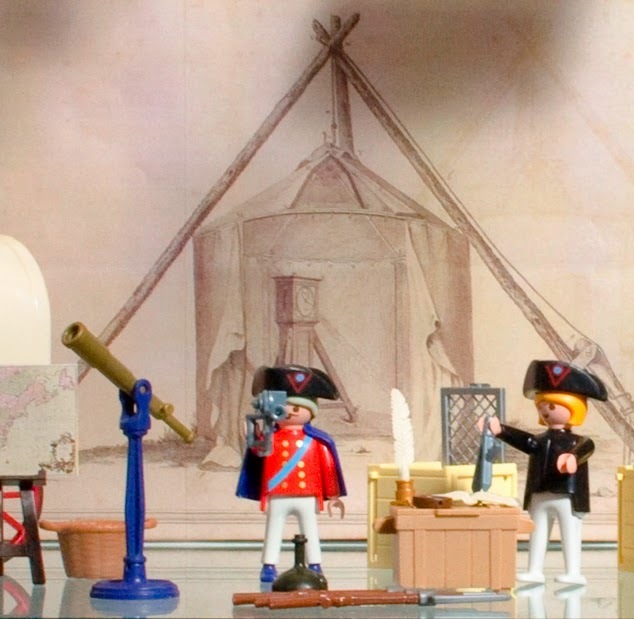 Nicky Reeves of the Hunterian Museum at the University of Glasgow has posted a wonderful essay on his blog, On Display, about the limits and possibilities of public, academic, artistic, and Playmobil museum representations of the Mason and Dixon expedition, and other encounters between instrument-obsessed Europeans and Native Americans. The Wellcome Institute recently announced that it is in the process of digitizing 800,000 pages of patient art and mental health archives. The noble beaver, which was reintroduced to England in 2009, is now at risk of being “culled” by British environmental authorities. Dolly Jorgensen suggests that this decision had more to with politics and fear of the foreign (and its diseases) than any real environmental threat. This entry was posted in Uncategorized on November 17, 2014 by Evan Hepler-Smith.